The Multiple Element Limitation (MEL) model is used to simulate the recovery of Alaskan arctic tussock tundra to thermal erosion features (TEFs) caused by permafrost thaw and mass wasting. TEFs could be significant to regional carbon (C) and nutrient budgets because permafrost soils contain large stocks of soil organic matter (SOM) and TEFs are expected to become more frequent as climate warms. These simulations deal only with recovery following TEF stabilization and do not address initial losses of C and nutrients during TEF formation. To capture the variability among and within TEFs, we simulate a range of post-stabilization conditions by varying the initial size of SOM pools and nutrient supply rates. This file contains the results for 100 years of tussock tundra recovery after a thermal erosion event. This simulation is of TEF recovery with increased Phase I soil organic matter compared to the base simulation. Data is presented for day 250 of each year. We calibrated the Multiple Element Limitation (MEL IVarc, Rastetter et al., 2013 and Pearce et al., in press) model to Alaskan arctic tundra to simulate recovery of thermal erosion features (TEFs) caused by permafrost thaw and mass wasting. 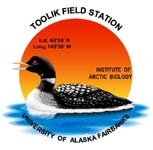 The MEL model was calibrated to match annual C, N, P and water fluxes of tussock tundra on the North Slope of Alaska near Toolik Lake, AK (68° 38'N, 149° 43'W) (see Pearce, in press for details). The calibrated simulates acidic tussock tundra under 2000 climatic conditions, warming, warming and fertilization, fertilization, and decreased solar radiation reasonably well. In all TEF simulations we assumed that the slope failure caused by the disturbance had stabilized prior to the start of the simulation and that there was no ongoing downslope mass transfer. We cut initial biomass by 90% to reflect the loss of the majority of the standing biomass after a thermal erosion disturbance. We than ran several simulations with varying Phase I and Phase II SOM to reflect a range of possible post-disturbance conditions among and within TEFs. We also simulated conditions that result in a higher availability of nutrients than in the undisturbed tundra used for our calibration. Table 1: MEL tussock tundra simulations run as part of this study. Table 2: Percent initial Biomass, debris, and Phase I and Phase II SOM stocks and additional treatments imposed in the TEF simulations.